The Load Restraint Guide, from the National Transport Commission (NTC), sure that your load doesn’t fall off the equipment when you are transporting it from point A to point B. Improper load restraint is costly, especially when it results in damaged goods or injury. That’s why it’s important for organisations to prioritise load restraint to keep their workplace safe for everyone and fully understand the load restraint guide. Safety is important to prevent damage to property and injury to people when loading heavy vehicles. 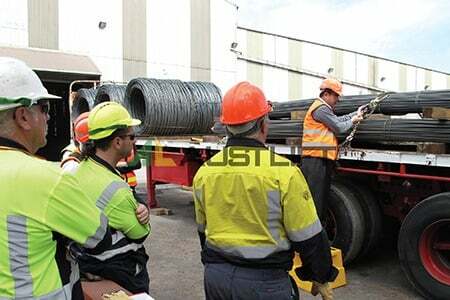 The Load Restraint Guide Qld provides owners, drivers, operators, manufacturers, suppliers, and freight consigners with basic safety standards that they should follow when developing a load restraint system. You can get a copy of the guide from the NTC’s official website. It is easy to understand and up to date. It provides good load restraint practices, as well as current heavy vehicle technology. The guide comes with graphics and diagrams to provide a better understanding of the subject. Keep in mind that the Load Restraint Guide is not a legal document. It only serves as a guide on how you can meet the performance standards for restraining loads. It allows organisations to comply with heavy vehicle national laws. You need load restraining no matter how big or small the cargo is. However, it is important to make sure that loads are secure when transporting goods. To follow proper load restraint practices, you need to have the right products such as claw hooks, ratchet tie downs, and chains, just to name a few. Use the proper ratchet strap – There are many ratchet straps on the market. They have different breaking strengths and lashing capacity. You should use the right ratchet strap for your task. Secure ratchet straps – There is a wide range of fittings for ratchet straps that include claw hooks, grab hooks, and screw pins. Make sure you use the right fittings for the task. Before setting off, make sure you attach and secure all straps in place. The Load Restraint Guide provides the best ways to assess your loads and choose the right method for the job. If you are unsure on how to meet your loading requirements, contact us. Our trained staff can provide you with information and help you understand the guide better. All About Lifting & Safety are lifting and safety equipment experts.